Owned by Managing Director, Mark Kelly, Danilo Lucchi UK is a trading name of Mark Anthony Leather & Textiles Ltd. Mark welcomed me to the company’s headquarters. Mark explained, ‘We have been servicing the market now for approaching seven years but in the last two years we have diversified the product range more.’ With the extension of the range, it now appeals to a broader customer base. Among those now turning to the company are bus and coach converters and trimmers and Mark is keen to explore whether there is greater potential in the market. The interest there has been has come from different sections of the market, including both well known names and more specialist suppliers to the band bus market. ‘We are very keen to deal with companies of all sizes and deliver the same high level of service to all,’ he said. 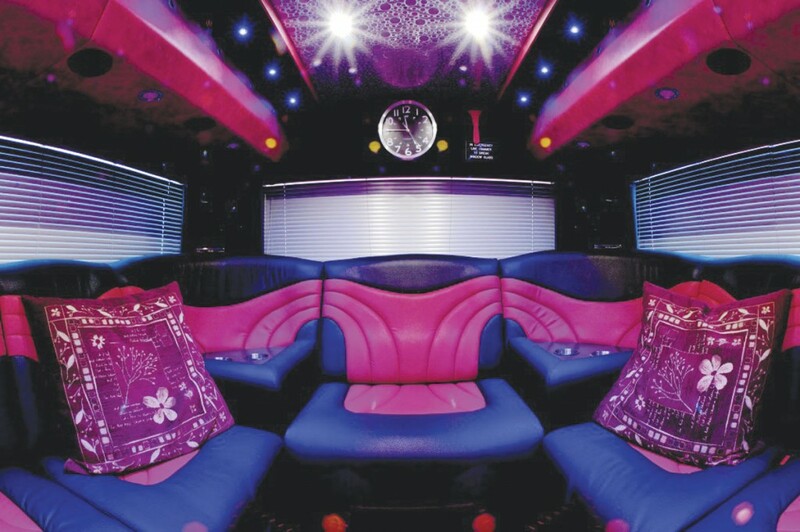 He believes the ranges that will most appeal to the bus, coach and minicoach sector are: reconstructed leather; vinyls; leather-effect fabrics; and wall and floor covering materials. 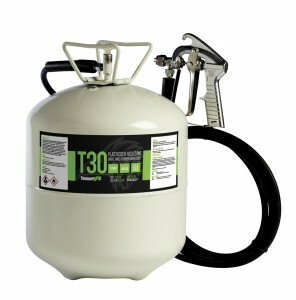 He also envisages demand for ancillary and consumable items including: canister glues; threads and scrim foams. 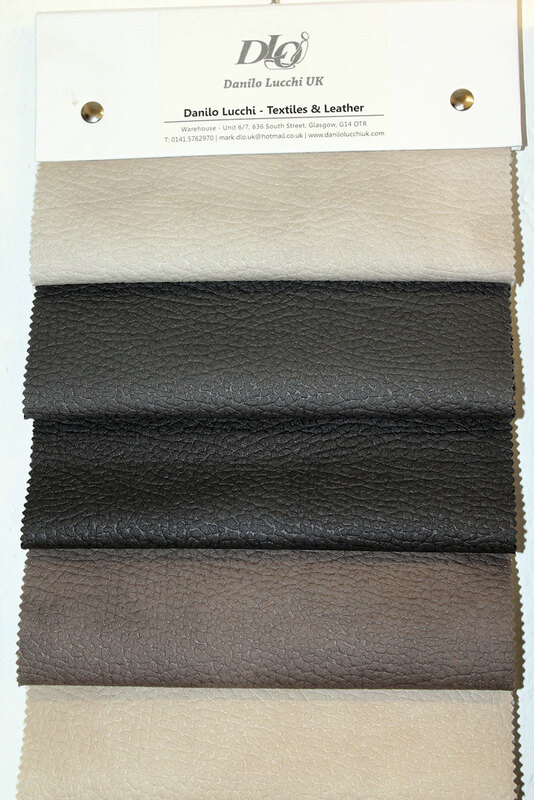 Reconstructed leathers are gaining in popularity in the market because of the cost effectiveness and versatility they offer. Both smooth and pebbled finished are offered and all manner of different textures can be commissioned. If the colour you are looking for is not already available, the company will commission bespoke colours on orders for 500 linear metres or more. ‘Some people like a grained leather effect; it seems to be a bit of a fashion at the moment. Our Mozart range has a heavier grained leather effect, but it’s a fabric. In quality terms, it would exceed 50,000 rubs on a Martindale test. In comparison a contract leather would deliver 100,000 rubs and for severe contracts with fabrics it would be over 40,000 rubs,’ he said. Until sitting down to talk with Mark, I had not realised how great the options are if you want to create a ‘leather look’ in a vehicle interior. 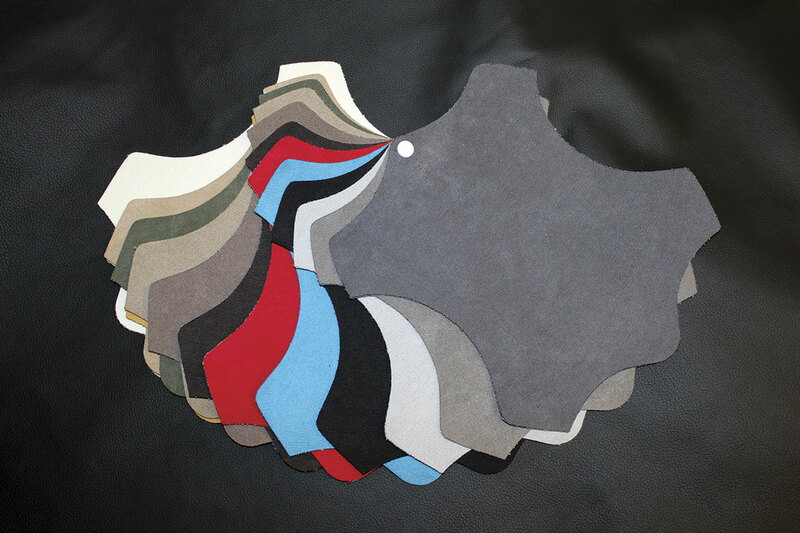 Apart from real and reconstituted leather, he believes leather effect fabrics are gaining in popularity, showing me samples of suede effect finishes that are offered in ten different colours. If enhanced durability is important, both a suede effect fabric and a chenille weave fabric are offered with a Teflon finish. Both are very easy to clean and retain their appearance. In the tanning process for real leather, many hides will have a pigment paste put over them and then a grain added over that to hide any defects. However, some cows are cosseted and virtually kept wrapped in cotton wool in order to minimise defects on the hides they yield. Known as aniline hides, they will only have a colour added with no corrected grain, and when you sit on the finished product it will respond to your body temperature. You can also tell it by its appearance. If it really must be leather, Danilo Lucchi UK has a huge offering available. They carry 15 ranges with 42 perforation patterns and 28 different embossing prints. Among the embossing prints are snakeskin, alligator, ostrich, tiger, and a variety of geometric shapes. They have everything from a budget range (at around £65 per hide) that is great for trimming where there are small panels and you can cut around minor defects, all the way up to European Nappa hides at around £200 a hide. 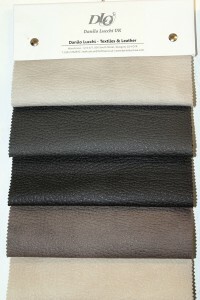 He can also source absolutely top end luxury leather hides. Much of what is sold goes to domestic and commercial upholsterers, but the business innovates where there is demand for it. 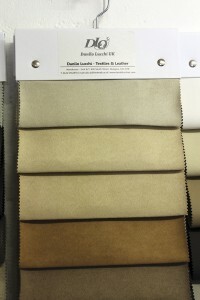 For example, it now offers four leather hide ranges that are IMO certified for commercial marine applications. 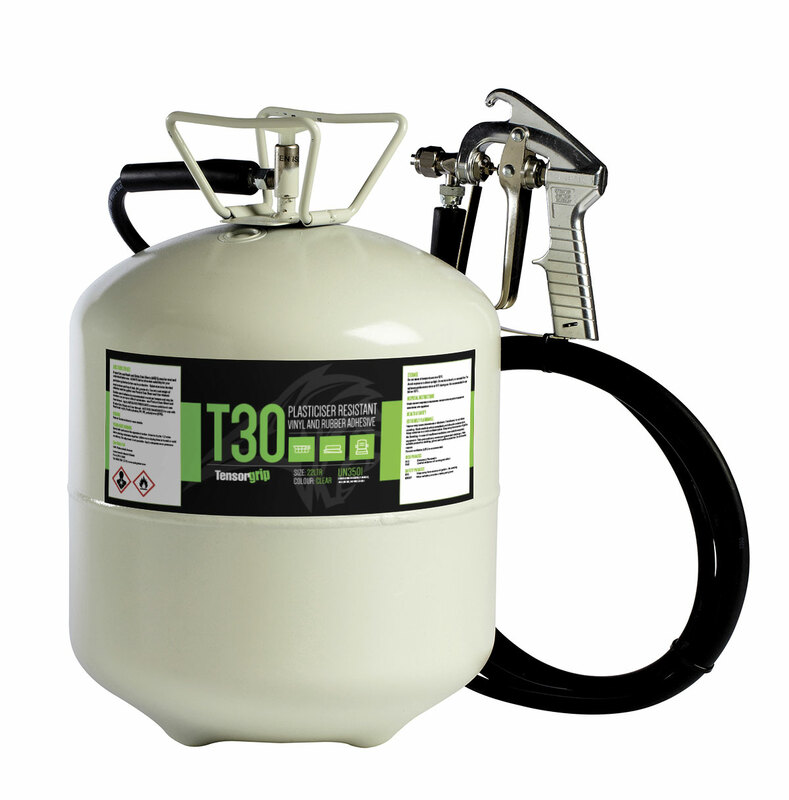 In addition to the stocks of the various products held at their Glasgow premises, the manufacturers that the company distributes for have major facilities in multiple locations from which orders can be despatched.